I have a good group of readers on this blog. I am thankful for that, even though it has led me to become more sappy and sentimental than I ever dared to admit. Damn you all for that. I also notice I consistently have a loyal group of readers. Sometimes there will be a comment from someone new, someone that has only recently fell upon my blog, or has only just decided to comment. Many of my regular readers have won my contests, so after reading all the comments posted for this event, I have decided to award the Renegade, my prized Republic Fleet Firetail frigate to one of those new to Roc’s Ramblings. Thank you to everyone for the comments. We all need to know we are supported at times, and to know I have influenced even one life humbles me, and reminds me of how much I have to be thankful for in my own life. The winner of the Renegade is Luk. While his comment may not be as long as others, it is as heartfelt, and as appreciated. Please take good care of my ship. Contact me with your ingame name, and I will do up the contract. Thanks to all for your participation in making Roctoberfest a success. I am lost for words, because I never won anything like this before and feel unworthy of your legendary ship, because my main is Amarr with not the best standing with Minmatar since i was doing missions against them in the beginning the career and did not know any better. 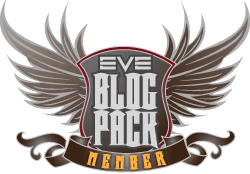 But you blog has been inspirational on so many levels that I promise to join the Minmatar militia (with an alt if i have to) and make sure that everyone will know who’s ship I have been honored to fly there. PS: my main in the game is TurboLuk and I promise to fly rifters in PvP because your ship is too precious to lose in a common skirmish. Congratulations Luk. While I myself would have been proud to own such a piece of Roc’s history, I’m glad that Renegade found a good home. I hope that someday I can fly with you both. I’ve commented in your story. Very well written. Hard to read on that background. Posted a link to it on my Twitter account. Very interesting fiction; I’m flattered to be a part of it.